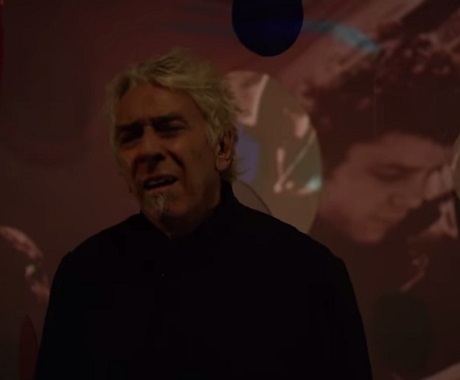 With today (October 27) being the one year anniversary of the death of Lou Reed, former Velvet Underground bandmate John Cale has marked the occasion with a tribute video updating his own solo track, "If You Were Still Around." Markedly different than the minimalist cathedral organ arrangement that appeared on Cale's 1982 LP, Music for a New Society, this new take adds fuller rhythms, ticking guitar loops, echo chamber-birthed gospel backups and a steady jangle of tambourine. Visually, Cale spends time in an exhibit room featuring a mix of nostalgic visuals of the Velvets back in the '60s, with the artist breaking down a couple of times as he sings his lines. A Moth and a Candle met. They decided to become friends. Everyone enjoyed watching their discourse — especially the risk takers. Then one day a big rain came. The Moth couldn't fly and the Candle puttered out. Everyone laughed in bitter awe and blamed the rain. Most however knew the deeper truth — the Candle remains lit and the Moth will stay close.